Have you tried the lovely Crème de Violette liqueur also known as Violet Liqueur? Then you must try one of my favorite Crème de Violette Cocktails, the Violette Royale. 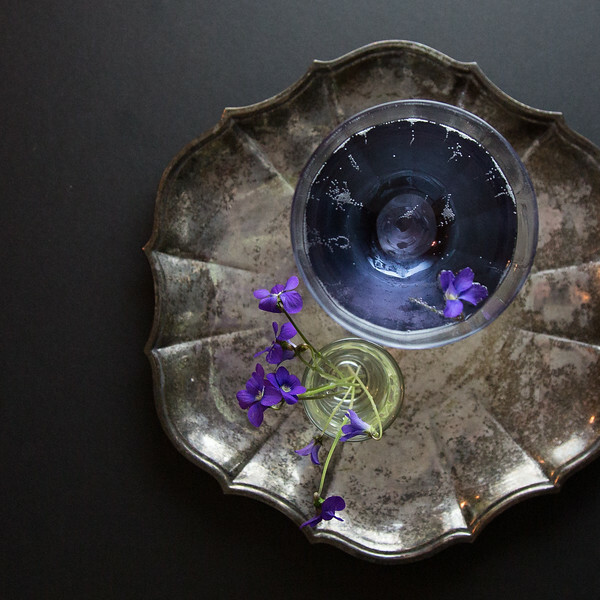 With only two ingredients and a garnish, this Violette Cocktail will become a favorite. Do you have wild violets in your yard? I do. They are everywhere. I pull them out in massive numbers and they seemingly pop back up over night. Luckily I love them. But really, if you show them any kind of love at all, they run rampant. I’m trying to keep them out of my herb bed, but they are winning. As I walked around admiring them, I remembered the Crème de Violette that I had in the liquor cabinet. Now would be a perfect time for a crème de violette cocktail. 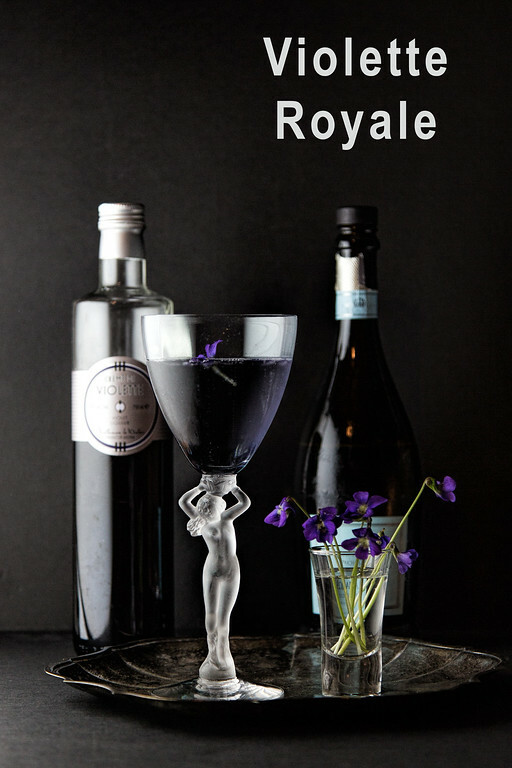 After googling here and there, I found the Violette Royale – a super easy cocktail! Click here to pin this Violette Royale now! I also thought, what if I made my own Crème de Violette? I have a yard full of violets. It’s perfect. Well again after much googling it turns out American violets are great for making the liqueur. You need the more aromatic French violets. So, not only can they tie scarves better than us, they grow better violets. Oh well. I’ll just enjoy looking at my violets and using them for garnishing all the Crème de Violette cocktails that I plan on making in the future. You want to know who crazy easy this Crème de Violette cocktail is? You take some of Crème de Violette or Violet Liqueur, pour it into your glass and then top with Prosecco. That’s it. It did call for a twist of lemon, but I just garnished with one of my useless, except to look at, violets. This cocktail was sweet and elegant. I loved it!! 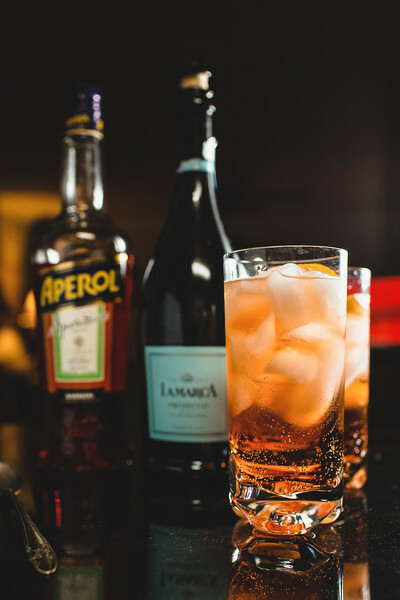 This Aperol Spritz Cocktail is so easy with only 3 ingredients! 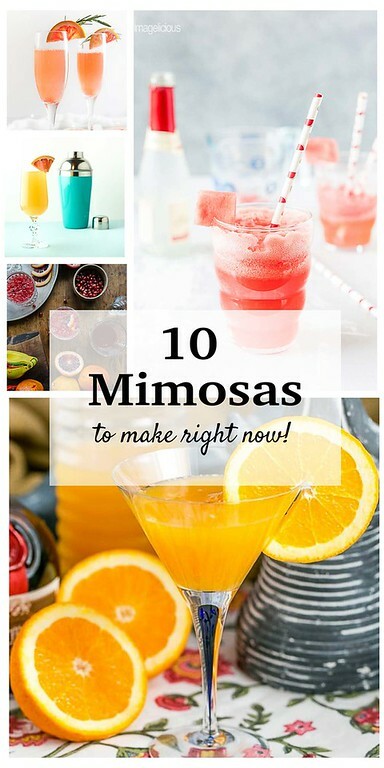 You’ll find something for everyone with this collection of 10 Mimosas to Make Right Now! This Violet Royale is an easy two ingredient cocktail using Crème de Violette and a sparkling wine! Pour Crème de Violette into a champagne flute and top with Prosecco. The aviation cocktail is probably the prettiest cocktail I have ever seen. The color is beautiful. I wish I could drink alcohol but I am not allowed to because I take a chemotherapeutic drug. But I bet I could make some sort of nonalcoholic version, and this is inspiring. I hope you had a wonderful Easter celebration. I love Prosecco, but never thought of adding anything to it. Now I just might.